Here is a 12x4 inch Large bottom rocker to go on the lower back of your vest. 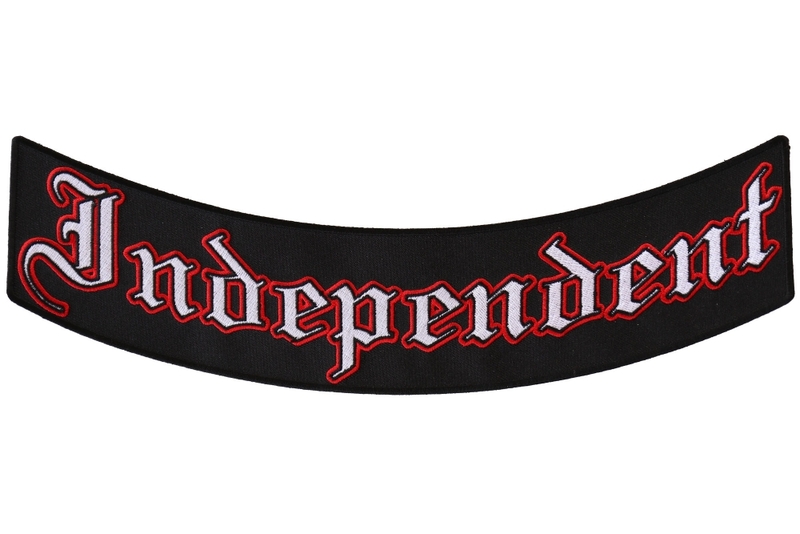 Independent embroidered in white and red in Old English letters. For all independent motorcycle riders who don't belong to any clubs.